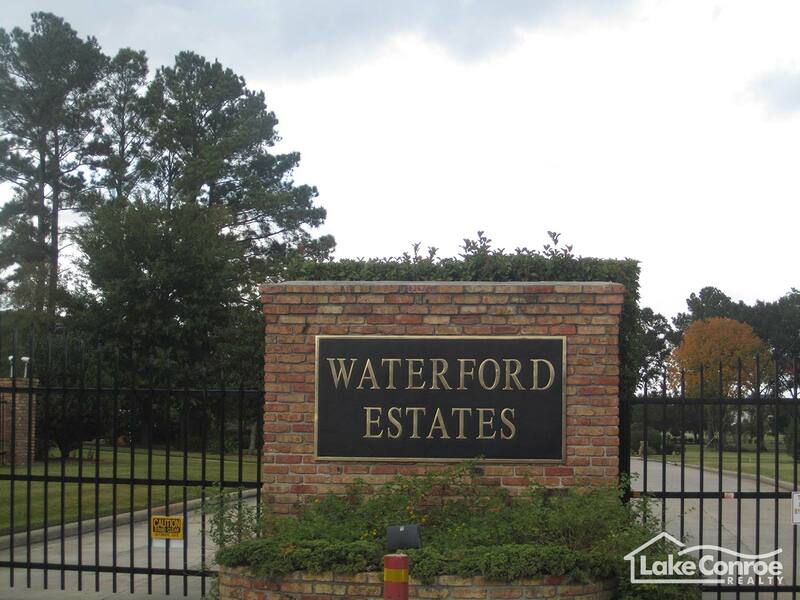 Waterford Estates is a private gated community on Lake Conroe. It's located off of the 105 West on the border of Montgomery & Conroe. It is the first waterfront community on Lake Conroe as you drive West on Highway 105 coming from Conroe, Texas. 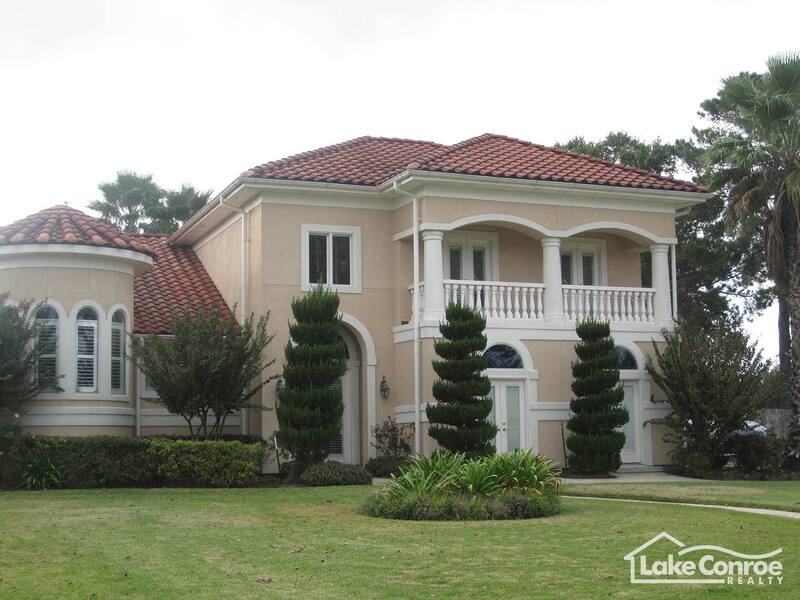 Its spectacular open water views of Lake Conroe and close proximity to Interstate 45 makes it a top choice for home buyers who have to commute to Houston or The Woodlands to work. Waterford Estates was the first community developed by local developers Steve Bowen and John Femrite. These are also the developers of several other communities such as Grand Harbor, South Shore Estates, The Cliffs on Lake Conroe, Sunrise Ranch, Harbor Side, and Waterstone. Homes in Waterford Estates range from $500,000 up to $1,000,000 and are usually 4,000 to 5,000 square feet. 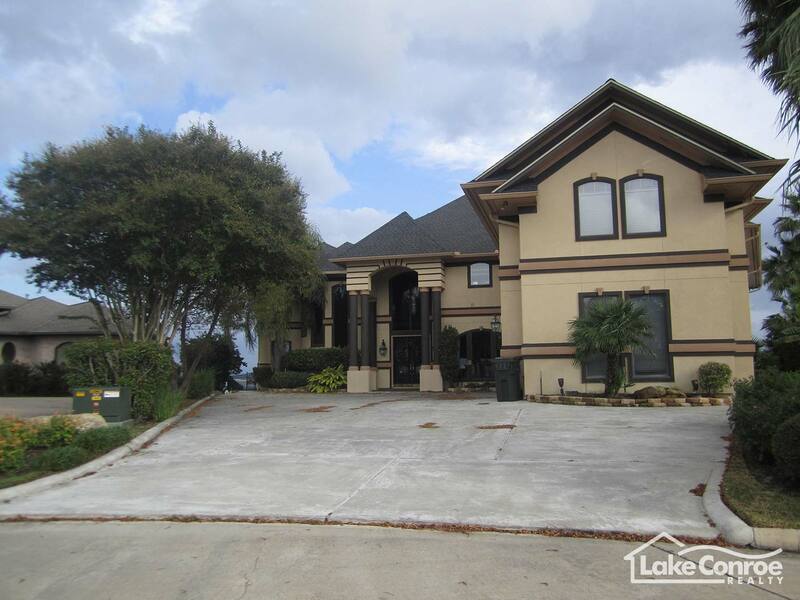 A small group of non-waterfront homes are at the front entrance of the subdivision and have access to Lake Conroe by use of a private marina. Non waterfront owners may take a short walk or golf cart ride to a private boat slip at the marina where they have personal use to keep boats and watercraft. If you’re looking for a summer lake house or even a permanent retirement home, Waterford Estates is the place you! Waterford Estates is in the Conroe School District and also featres large half acre lots for most homeowners. Overhead waterfront boathouses can be built rather than allowing only vinyl canopy covered boat slips which are nice amenities for residents. 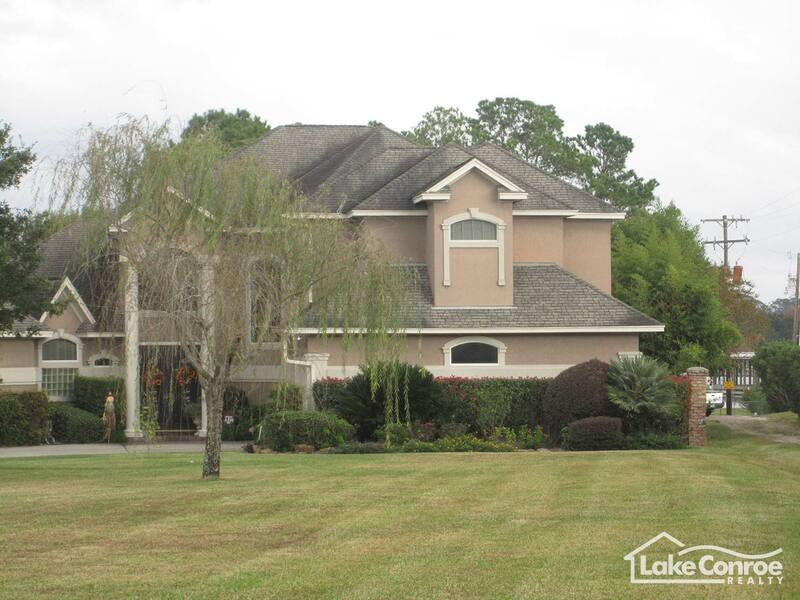 This quiet community has some of the best views on Lake Conroe and the location is perfect! The neighborhood is a less than a mile away from the restaurants and shopping plazas in the area; plus most of the water front restaurants are 5 minutes away on the lake, so on a nice evening instead of driving your car, take the boat out and enjoy the breath-taking Lake Conroe sunsets while eating at your favorite waterfront restaurant. Take Hwy 105 West approximately 6.9 miles from Interstate 45 then turn right onto Sandy Shores Drive. Waterford Estates is right before Kwik Kar Wash on the right hand side of 105 West.